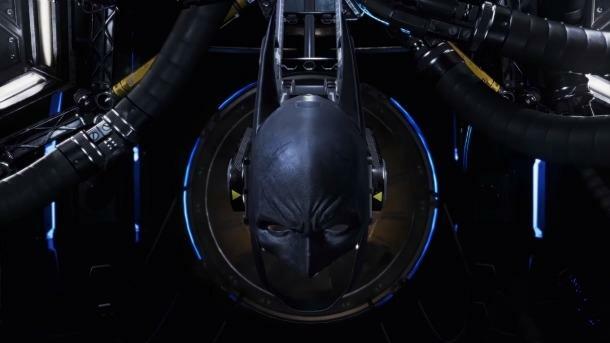 Gamescom 2016 - If there's one PlayStation VR exclusive that gets released on October 1 to experience, it would have to be Batman: Arkham VR, which makes you feel like Batman in VR. In the first Batman VR experience, you'll dive head first into the Batcave where you can scope out Batman's equipment, and then walk up to the mirror after putting the suit on and you will see your reflection - you are Batman. You'll also be able to experience Gotham City, as well as Wayne Manor, all from Batman's eyes. There's some new footage in the clip, as well as fan's reactions after experiencing Batman: Arkham VR at San Diego Comic-Con just recently. Batman: Arkham VR will be released on October 1 as an exclusive to the PlayStation VR. I love Batman but that footage doesn't do much for me. Need to see more to judge. I would practice saying I'm Bruce Wayne. I don't want my neighbours to know my true identity. A new behind the scenes video is up on Playstation's YouTube channel. Have you tried PSVR, Vive or Rift? SDE opinion's.